Are you a start-up? Starting a small business? Running a small project? Looking for people to complement your team? Need extra hands to help out? Unable to pay thousands for a recruitment booth? Join us in our No-frills Start-Ups and Small Projects Job Fair. 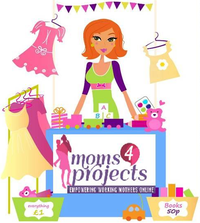 To enquire further, get in touch with us at moms4projects@gmail.com. If you are a first time Uber user, get a free ride to and from the venue (Klang Valley only), Just download the App [ Droid | iOS ] and key in MOMSPROJECTS to claim your ride!